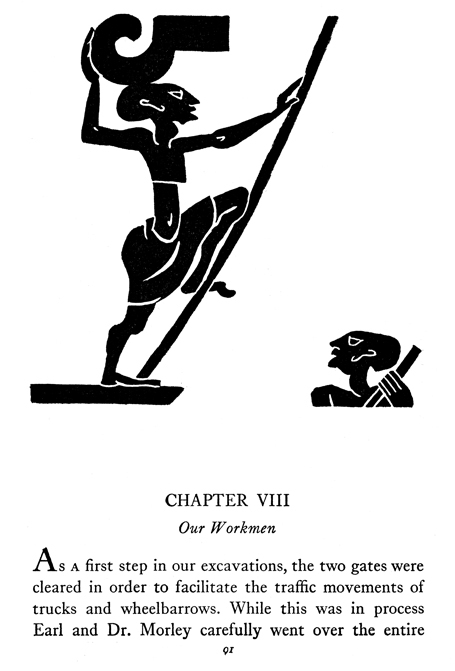 Jean Charlot, an illustrator worth knowing. Jean Charlot was born in Paris in 1898. His name is pronounced in the French manner, something like “Jahn Sharlow.” Oddly enough, Charlot was a great Mexican illustrator. His mother was from Mexico and after World War I, she returned to Mexico with her son, Jean. By that point he was a young man, having served in the French Army during the war and studied art in Paris. 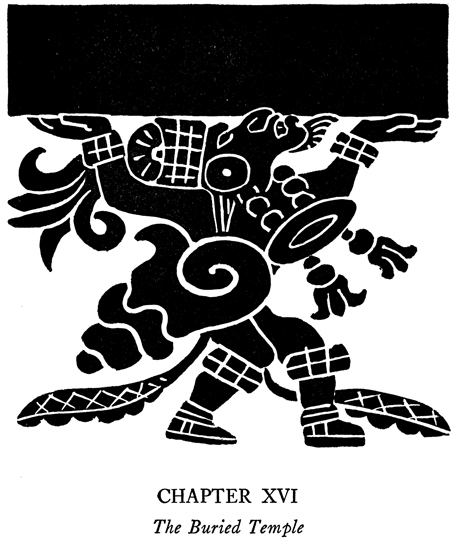 In Mexico City he began teaching printmaking and writing about Mexican art history. He sought out the great muralists and befriended artists who sometimes didn’t get along with each other, Siqueiros and Rivera, for example. He worked with Diego Rivera on several monumental mural projects. He spoke and wrote in fluent French, Spanish, English. He also spoke Nahuatl, one of Mexico’s many indigenous languages. Charlot was an influential member of the Taller Grafica Popular. The TGP, or Taller de Grafica Popular (Workshop of the Peoples’ Graphics) printmaking collective was founded in Mexico City in 1937. The TGP still exists today and is well worth a visit. I wrote about my 2009 pilgrimage to the TGP here in the webzine, Commonsense2.com. 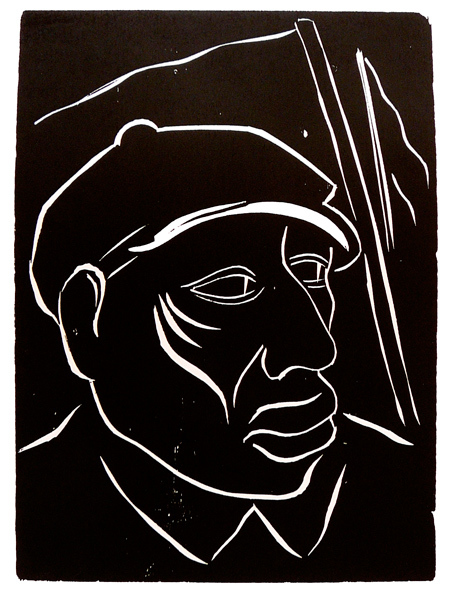 There I held original prints by Charlot in my hands, including the one below. Like most TGP prints it is unsigned, but I have little doubt this is his work. 20th Century Mexican artists, Charlot included, did not look down on illustration, the way most North American painters did. Until Andy Warhol, many U.S. fine artists denied ever doing illustration, even when they had done it well. Edward Hopper, for example, was a notorious denier. In 1926, Charlot was one of the official artists hired by the Carnegie Institute’s Maya Expedition to document the excavations at Chichen Itza. 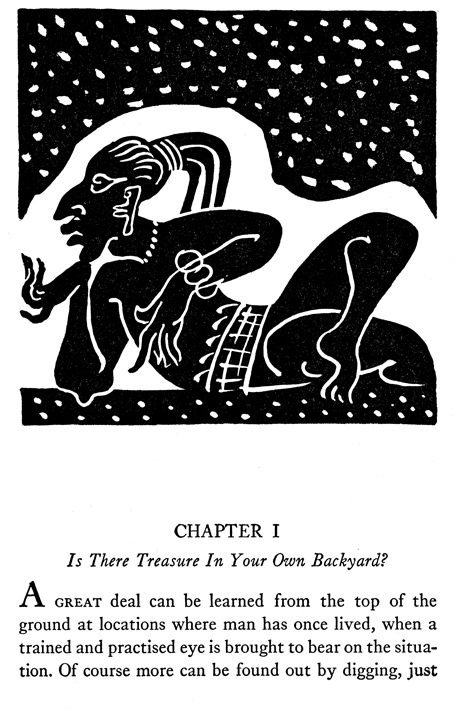 He later illustrated Ann Axtell Morris’s bestselling book for young adults about that expedition, Digging the Yucatan. The bold silhouette-style illustrations reproduced here are examples of his extraordinary genius. Clearly, the two years he spent in the Yucatan drawing copies of Maya murals and relief sculptures made him the ideal candidate for this assignment. These images are remarkable for their unusual use of white space. I’ve reproduced a few with the text included to give a sense of the book’s dramatic page design. Charlot’s life was so eventful I can’t even scratch the surface of his accomplishments in this note. I hope to write more about him soon. Interested readers should visit the web site of the Jean Charlot Collection at the University of Hawaii. 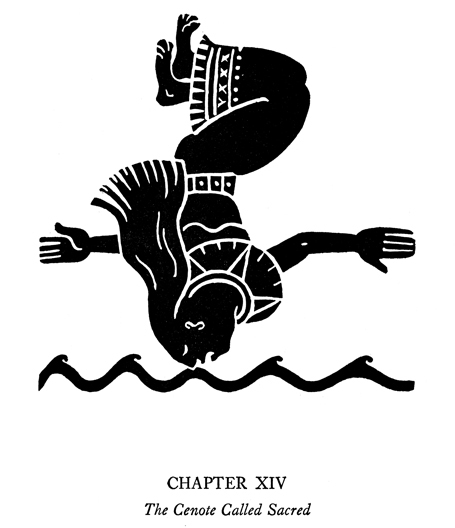 Credits: Art from Digging in Yucatan came the Jean Charlot Collection web site. Copyright statement from that site: This material is copyrighted 2001 by John Charlot, the Dorothy Z. Charlot Trust, and the Jean Charlot Estate. The text of these web pages may be reproduced in whole or in part provided that proper credit is given and reproduction is not for commercial purposes. 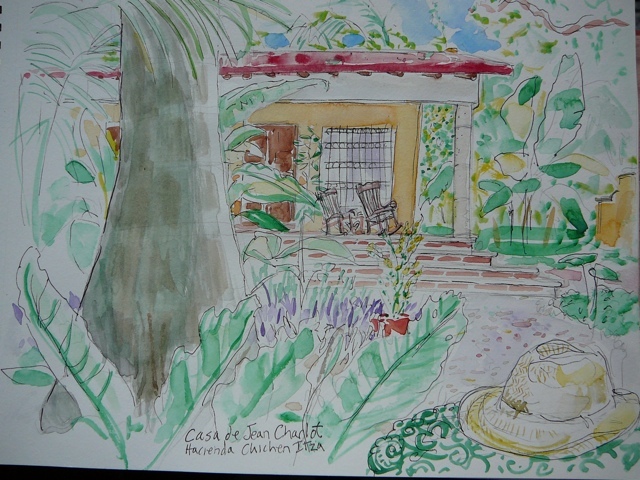 Above: Watercolor of Jean Charlot’s quarters at Hacienda Chichen Itza by Kevin McCloskey, July 14, 2011.